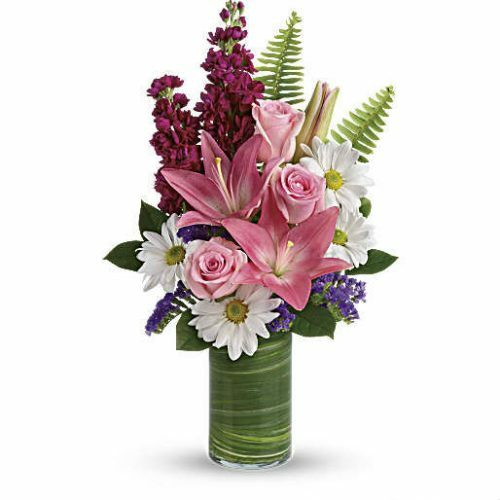 WW-383 She’ll jump for joy to receive this pretty vase of cheery and feminine blooms. 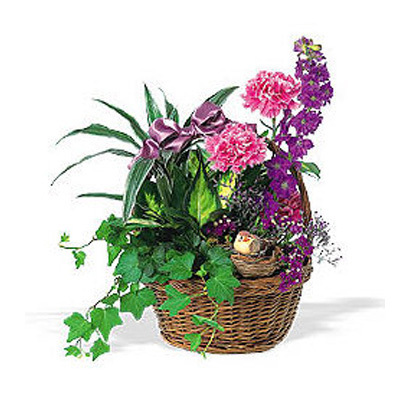 Spray roses, carnations, alstroemeria and stock are tied with a satin ribbon accent. 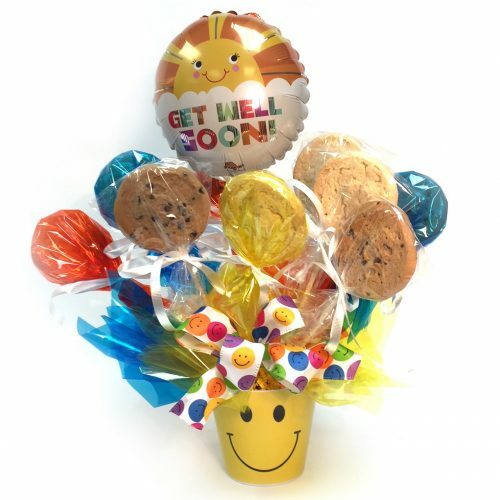 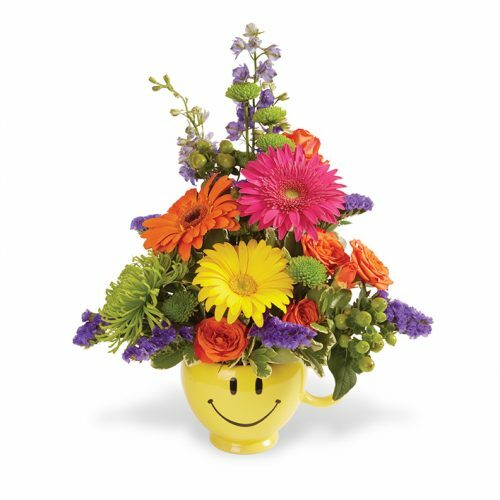 She’ll jump for joy to receive this pretty vase of cheery and feminine blooms. 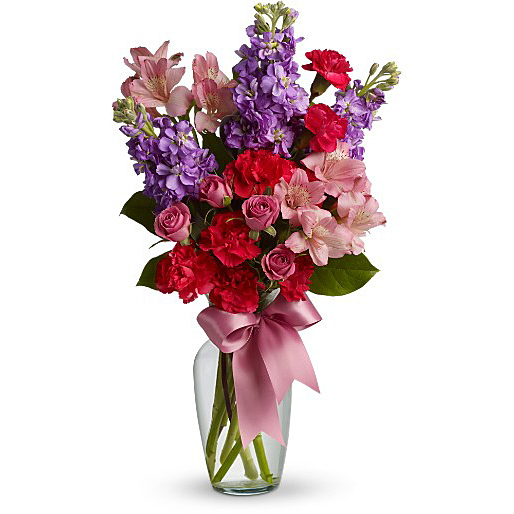 Spray roses, carnations, alstroemeria and stock are tied with a satin ribbon accent.